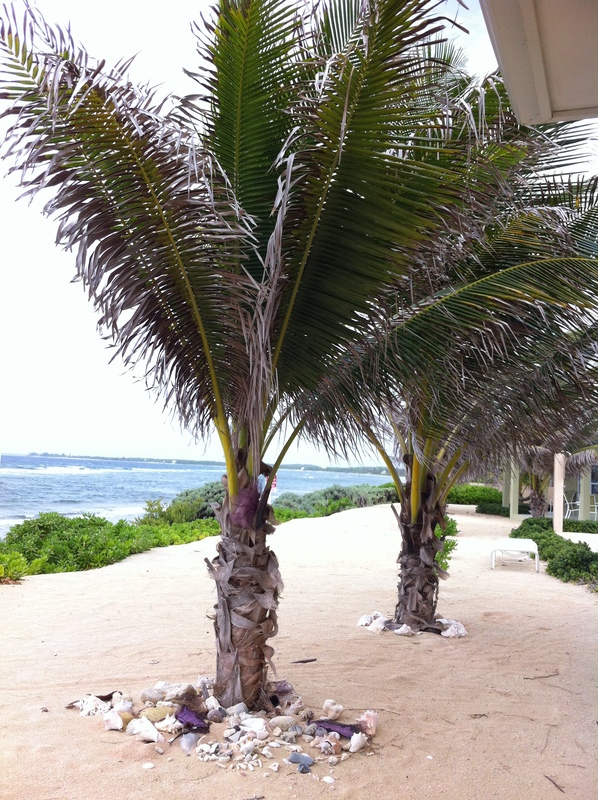 Like offerings at a palm alter, remnants of sea life that have washed ashore hug the base of each tree in a perfect decorative way. 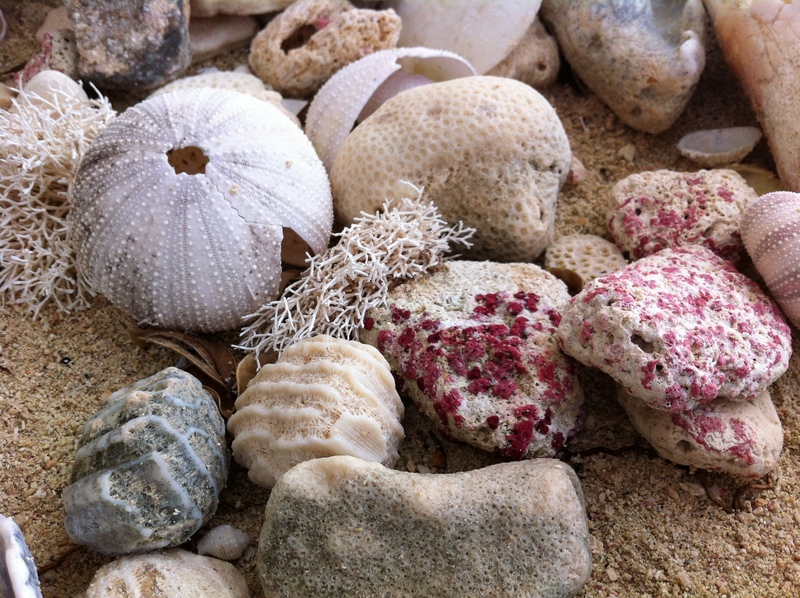 Salty and sandy and sun baked, they were placed there by the owner of this Cayman Island rental villa to be explored and admired just as much as they are for decoration. The color and textures really captured my interest. My macro lens begged me to look closer at the intricate details. Amazing! Take a look…. 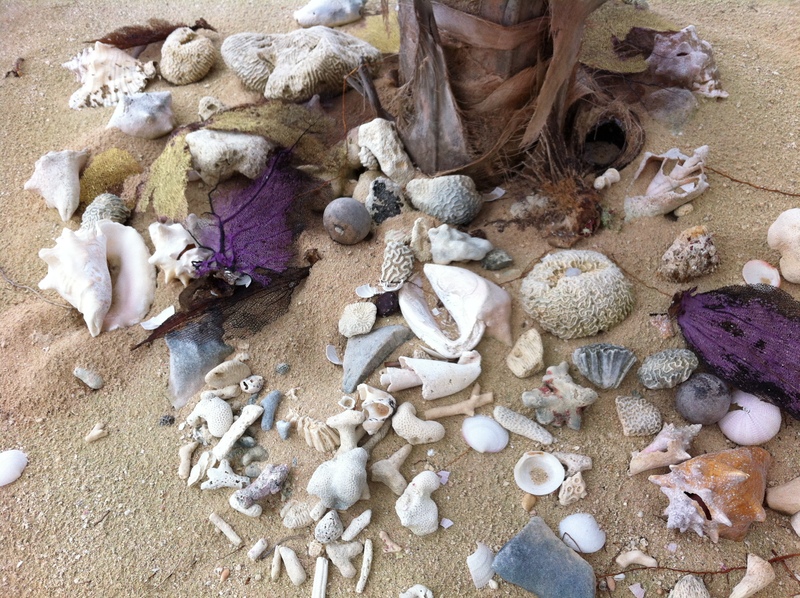 Treasures washed ashore, casually arranged. …a gathering of color and texture. I still love to look at this picture — so much to see. Brain Coral with its ribbons and curves…. look closer…. Be sure to slow down when you can and really look around.. and look closer… such wonders to be seen! BTW, I used my faithful iPhone 4 for these pics, attaching a macro lens for the detailed pics. I got it from photojojo.com and really like it. Reblogged this on Ba$ed Goddess.